MovieMator Video Editor for Mac is a totally free but very professional Mac video editing tool which is carried with lots of unique visual effects and transitions. 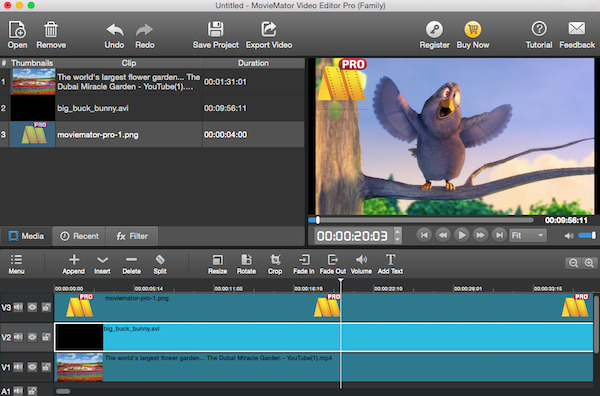 Amazing home movies will be created in a few minutes with this free video editor for Mac! What is more, MovieMator Video Editor for Mac allows users to easily add images for a vivid photo slideshow or as cut-ins between video clips on Mac OS X. It is easy to use and supports to enhance the video quality with one Chroma Key. Total Video Converter for Mac is an intuitive and insanely fast all-in-one video toolbox to convert video / music, edit video, burn DVDs and more. 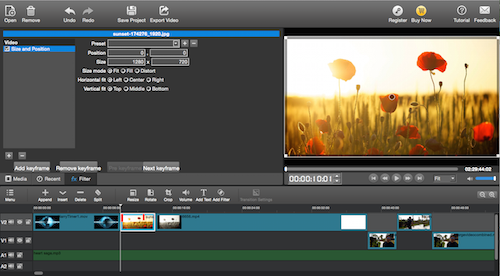 With this powerful video tool, users can effortlessly achieve all multimedia demands on Mac. Total Video Converter Pro Mac = Mac Video / Audio Converter HD + Mac Video Editor + Mac DVD Burner + GIF Exporter + DV Auto Importer + Video Combiner + Audio Extractor + Video Multiplex. 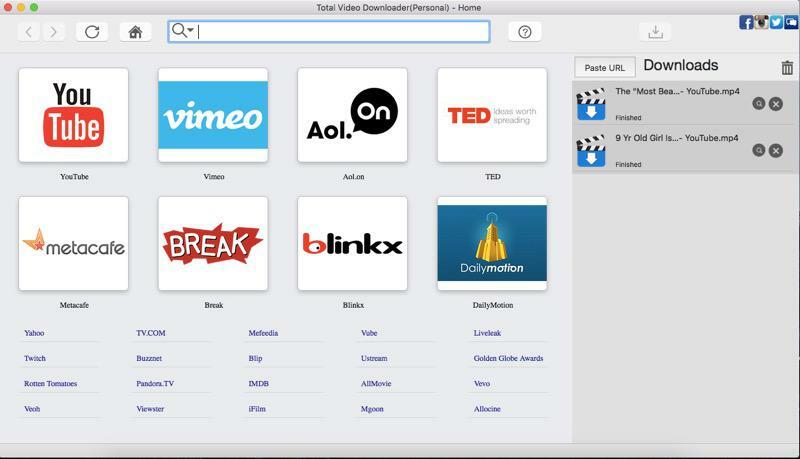 Total Video Downloader for Mac is an extremely professional and simple video downloader for Mac with ultra-fast download speed! With this professional Mac video downloader, users are able to freely download videos, music files even live streaming videos, which of different resolutions (SD & HD) from 1000+ websites such as YouTube, Facebook, Livestream and more on Mac. Moreover, Total Video Downloader Mac supports to get all avaiable subtitles of the target video. Powerful and easy-to-use free video editor app for making and sharing videos on YouTube, Facebook, Twitter, Instagram, and more. Add themes, filters, effects, transitions, emojis, voiceover narration, music, and more. Free Video Editor MovieMator for Windows is designed to deliver a funny and easy video creation experience to every user who wants to make fabulous films for family, travel, course, advertising, wedding, old times, music, food or anything for free. Total Video Player for Mac is an excellent all-in-one Mac media player to smoothly play 4k ultra-HD videos and Blu-ray discs with hardware acceleration. Smart DVD Creator for Mac not only burns popular video formats into DVD discs, but also creates ISO files, which are suitable for virtual drive user. iAudioConverter is a powerful music converter to free share all video and audio files to iTunes, iPhone, iPod...Extract audios from videos fast. YouTube Video Editor: How to Edit YouTube Videos Free on Mac? Change Video Speed: How to Speed Up or Slow Down Video Mac? MP4 Cutter for Mac: How to Cut MP4 Video Free on Mac? Watermark Video Mac: How to Add Watermark to Video Free? How to Merge MP4 videos on Mac for free? Video Splitter Mac: How to Split A Video on Mac for Free? How to Create A Photo Slideshow with Music Free on Mac? Video Stabilization Mac: How to Stabilize A Shaky Video on Mac?